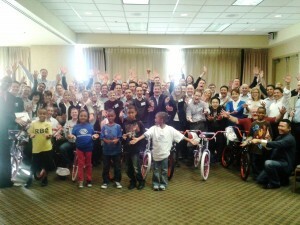 Over 60 employees from around the globe came together in Raleigh, NC, for a Build-A-Bike Team Building Event which resulted in 10 new bikes being donated to children from the Wake County Boys and Girls Clubs. The event was an action packed, fast-paced experience which gave the participants a chance to get to know one another better, practice some team building skills, have some laughs, and give back to the local community. They got to see one another in a different situation than usual which contributed to a better understanding of each other and an improvement in relationships. 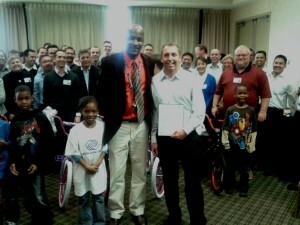 Combining fun and learning is a great way to grow together in leadership skills and team building abilities. Communication plays a vital role in leadership and team building. Too often communication is thought to have happened when people talk to each other. Teams are graded on how well they get along as well as the results they produce. The most effective teams are those that go beyond communication to cooperation and coordination. Communication is important and opens the door, but it must lead to team members actually cooperating with each other to provide the best results conceivable. Cooperation opens the door to coordination. This happens when cooperation takes the next step so that individualized efforts are coordinated so that synergy can happen. The team must be larger and produce more then just the addition of individual efforts. 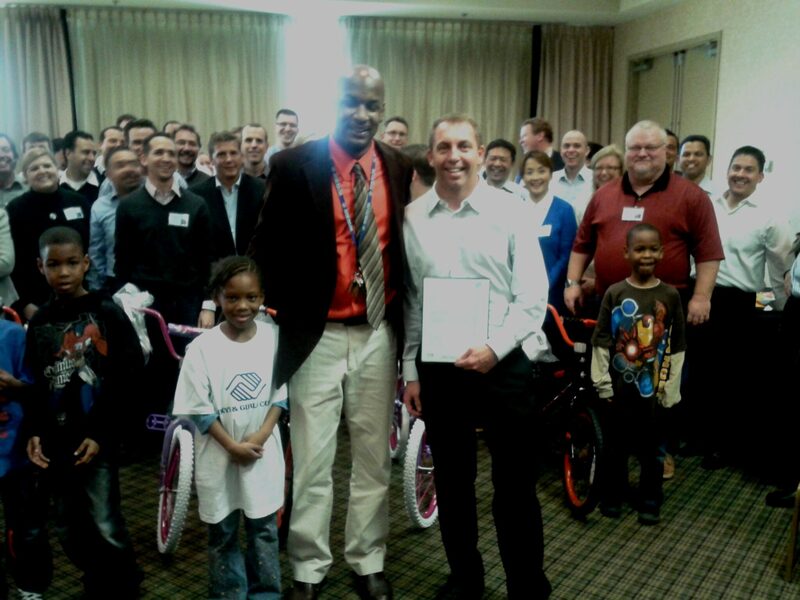 Synergistic efforts, like the Build-A-Bike Team Building Event bring people together so that what they accomplish as a team is much greater than just the individual contributions. 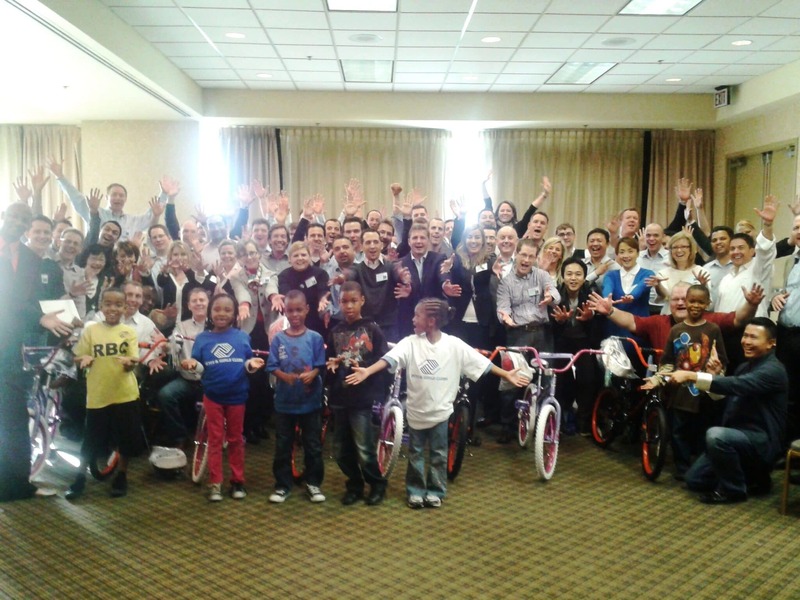 Thanks to Cisco for a great Build-A-Bike Team Building Event and for generously giving 10 bikes to the Boys and Girls Clubs in Raleigh, North Carolina.